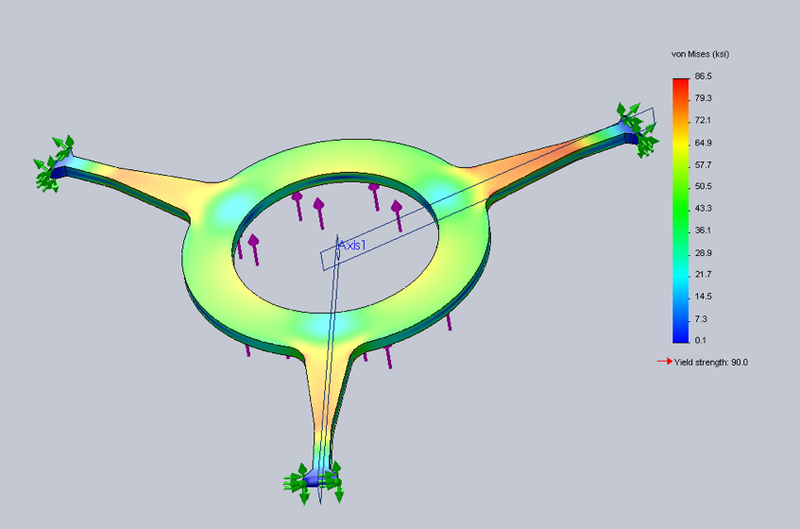 In 2011 I performed FEA analysis on a propeller spring component for the Bocci 28.0 Series pendant lamp. 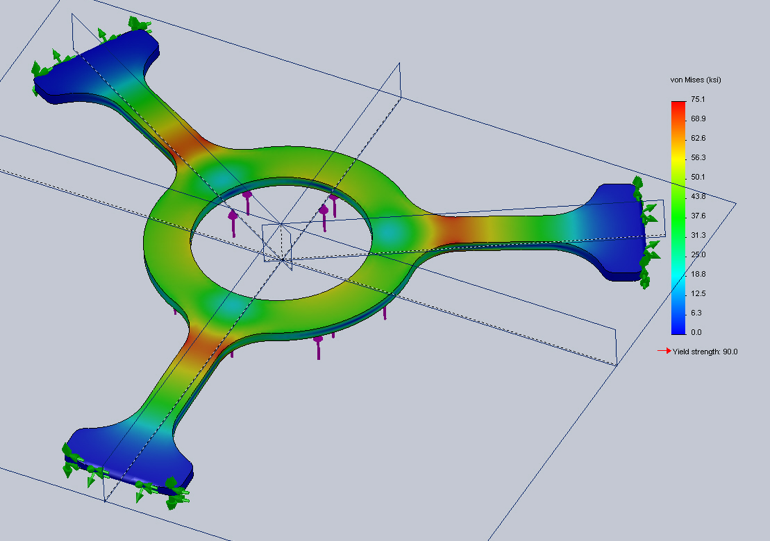 This is a great example of iterative design with the assistance of FEA analysis. Ultimately, I was able to increase the travel of the spring in its elastic region while improving it’s yield (and ultimate) strength.